Spherical tank gas holders are the rational shape for high-pressure storage because the pressurized gas tries to expand as a sphere, and the stress by inner pressure becomes equal. 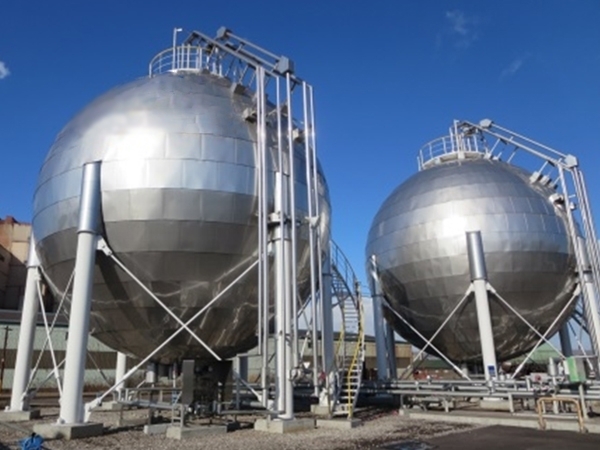 Spherical tank storage of propane, butane, etc. 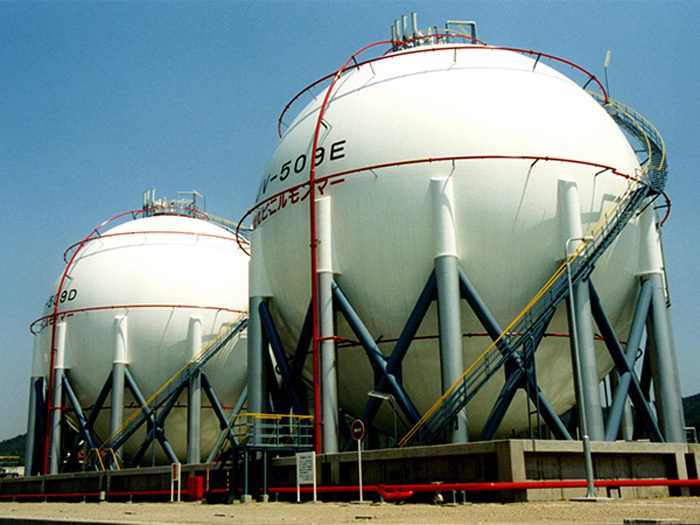 as a liquid under high-pressure, and spherical gas holder storage of city gas as a gas under high-pressure. 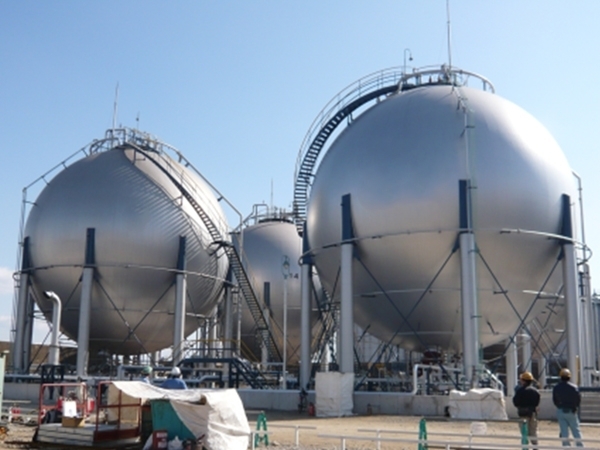 Our tanks boast shock-resistance features in its seismic design, which was analyzed using FEM (finite element method) and certified by a program of the Japanese Ministry of International Trade & Industry (MITI). We have a long supply records (over 800 units) in Japan, China, Singapore, Saudi Arabia, and Peru since 1955. 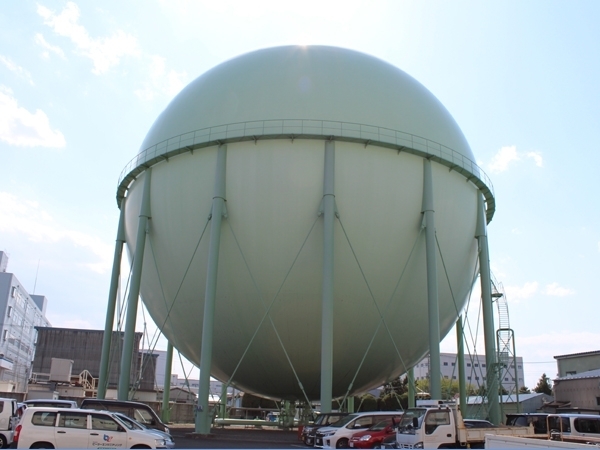 This is greatest size spherical gas holder in Japan, which made of pull strength 780N/mm2 high tensile steel plate.